Private Party Value is what a buyer can expect to pay when buying a used car from a private party. 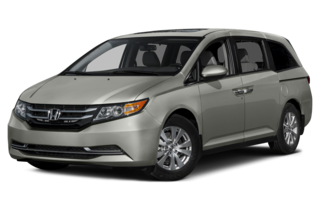 The Private Party Value assumes the vehicle is sold "As Is" and carries no warranty (other than the continuing factory warranty). The final sale price may vary depending on the vehicle's actual condition and local market conditions. This value may also be used to derive Fair Market Value for insurance and vehicle donation purposes. The Kelley Blue Book Suggested Retail Value is representative of dealers' asking prices and is the starting point for negotiation between a consumer and a dealer. This Suggested Retail Value assumes that the vehicle has been fully reconditioned and has a clean Title History . This value also takes into account the dealers' profit, costs for advertising, sales commissions and other costs of doing business. The final sale price will likely be less depending on the vehicle's actual condition, popularity, type of warranty offered and local market conditions. If you're searching for used car pricing information, then you'll want to use the most trusted source in the car business: Kelley Blue Book. The Blue Book® is the vehicle information resource used by consumers and the automobile industry to establish price guidelines. Since 1926, new and used car buyers and sellers have relied upon Kelley Blue Book for authoritative and unbiased information to make well-informed car, truck and SUV buying decisions. Kelley Blue Book reports used car values for a variety of buying and selling transactions: trading in your automobile to a dealer, buying a used car from a dealer, buying a used car from a private party and selling your used car to a private party. Blue Book used car values are determined by taking into consideration the equipment and options on the automobile, the vehicle's mileage, the condition of the automobile and the geographic area where the car has been driven. Kelley Blue Book® and Blue Book® are registered trademarks of Kelley Blue Book Co., Inc. Excellent condition means that the vehicle looks new, is in excellent mechanical condition and needs no reconditioning. This vehicle has never had any paint or body work and is free of rust. The vehicle has a clean Title History and will pass a smog and safety inspection. The engine compartment is clean, with no fluid leaks and is free of any wear or visible defects. The vehicle also has complete and verifiable service records. Less than 5% of all used vehicles fall into this. Good condition means that the vehicle is free of any major defects. This vehicle has a clean Title History . The paint, body and interior have only minor (if any) blemishes, and there are no major mechanical problems. There should be little or no rust on this vehicle. The tires match and have substantial tread wear left. A "good" vehicle will need some reconditioning to be sold at retail. Most consumer owned vehicles fall into this category. Fair condition means that the vehicle has some mechanical or cosmetic defects and needs servicing but is still in reasonable running condition. This vehicle has a clean Title History. The paint, body and/or interior need work performed by a professional. The tires may need to be replaced. There may be some repairable rust damage. Trade-In Value Private Party Value Suggested Retail Value $ We are not able to estimate the current value of this vehicle.